Miami Beach, Fla. — Not only is Serena Williams a world class tennis player, she is also a fitness fanatic who enjoys combining important goals. In this case, Williams is mixing running with raising money to help combat violence and provide educational access for underserved communities. 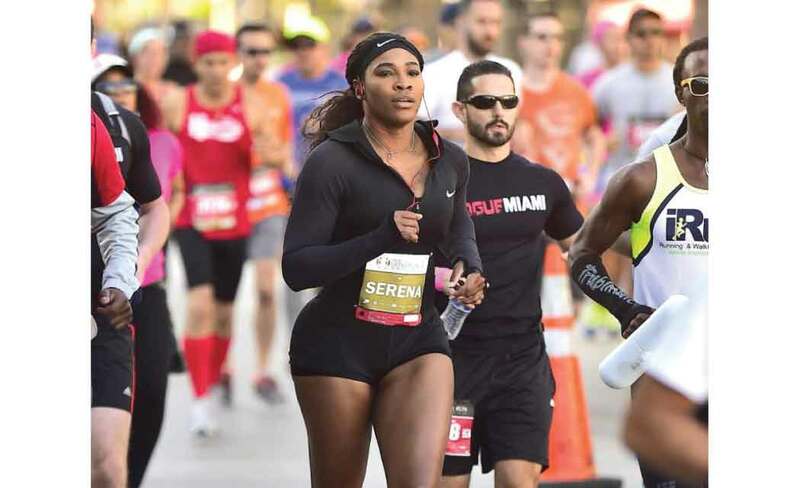 The Serena Williams Live Ultimate Run South Beach includes a quarter marathon and 5K run/walk which takes place on Sunday, Dec. 13, in Miami Beach. Thousands of spectators and athletes, from casual joggers to some of the world’s ultimate elite runners, are expected to participate in this unique opportunity to run with Serena Williams, the world’s #1 ranked women’s tennis pro. The spectacular course takes runners through the scenic oceanfront of South Beach. The post-race party will include food, drinks and entertainment. The Serena Williams Live Ultimate Run South Beach welcomes runners of all abilities to join friends, stroller moms, the young and the young at heart for the ultimate fun run event. It is strongly recommended that you pick up your race packet on Saturday to avoid any long lines and stress on Sunday. Race & Post-Race Party: 6 – 11 a.m.
Race-Day Packet Pickup and Registration will be available Sunday morning near the Start Line area from 6:00 to 7:45 a.m. as well at packet pickup on Saturday. CONTACT: For more information or to register, visit http://theultimaterun.com, email info@theultimaterun.com or call (305) 538-8899. Next post Provision mightily provide by whom?